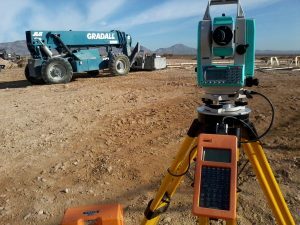 Surveying is a technology that uses instruments to measure the position relationships between points on land and express shapes, areas and other aspects by figures or drawings. The history of surveying dates back to ancient Egypt. The pyramids, which survive to this day, could not have been built without accurate surveying technology. The four sides of a pyramid are of the same length, and the four surfaces have the same surface area. These surfaces, which face north, south, east and west, converge at a single point while maintaining a uniform angle. This would not have been possible without accurate surveying methods. We may assume that surveying was invented with the advent of construction and developed in parallel with civilization. 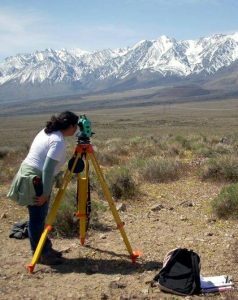 Surveying instruments are used to find points on a terrain or a structure like a building. They provide measurement data necessary for civil engineering projects, maps, and other such projects requiring accurate data. Such data is used in a variety of infrastructure projects, such as the construction of high-rise buildings, roads and dams, and urban redevelopment plans. 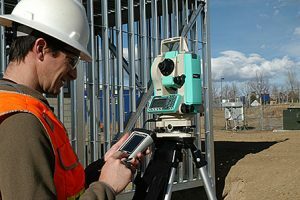 Surveying instruments are also used as quality assurance tools on building sites to verify that structures are being built according to planned specifications.